The Chinese invented the forerunner to the modern machine gun—a repeating crossbow. If you watch the video, you will see that firing the repeating crossbow takes the pull of one lever. The arrows are in a clip above the firing mechanism. Then the Chinese invented the stirrup. Prior to that, all of the ancient people on earth rode horses without stirrups and staying on horseback and fighting was difficult without the stirrup. Thanks to stirrups, the horse became a more stable platform for war. Prior to the stirrup, it was common for a man to ride about seven miles a day. After the stirrup, that distance was extended to as much as 70 miles a day. The invention of the stirrup along with the repeating crossbow created a powerful weapon. The Chinese could also manufacture items in mass, quickly and efficiently. The Chinese used pottery molds to accomplish this—even to build the advanced trigger mechanism for the crossbow. When it came to cast iron, the Chinese were a thousand years ahead of the rest of the world. However, by the time of the Sung Dynasty, the world was catching up—meaning China’s enemies were stealing their technology. It’s ironic that today, many in the West accuse the Chinese of stealing innovations. If so, China is only doing what was done to them centuries ago. The invention of gunpowder did not come from weapons makers but from alchemists. Chinese alchemy has a long tradition that is interwoven with other areas of learning. There was no clear line between alchemy and politics. In Chinese, the word for politics and finding a cure meant the same thing. All Chinese alchemists had sulfur, charcoal and saltpeter. They just hadn’t combined them. Since saltpeter is white and many other powders used by China’s alchemist were white, there was a simple test to make sure. If a small amount of the saltpeter were heated in a charcoal fire, there would be a purple flame. The first account of the discovery of gunpowder comes from about 850 AD. Soon after, they envisioned new kinds of weaponry. By the 11th century AD, there were gunpowder weapons—crude rifles, cannons, etc. The first gun or “fire lance” was produced in 905 AD. The next innovation was to add bullets to the fire lance. The first firearm was invented in China about one thousand years ago. It was made of bamboo, fired pebbles and had a range of about thirty yards. Bamboo is strong, flexible and hollow in the center. It was perfect for the first crude gunpowder weapons. Over time, bamboo was replaced with bronze, and the pebbles became cast-iron chips or pellets. In fact, the first bronze handgun dates to 12th century AD. It was about a foot long and weighed eight pounds. From these early weapons came cannons. Long before the rest of the world knew anything about heavy artillery, the Chinese were making strong, mobile cannons from bronze. Since the Chinese already had repeating crossbows, the next step was repeating cannons along with exploding artillery shells. During the Ming Dynasty, in the 14th century, the Great Wall was equipped with more than 3,000 cannons. In Europe, the first cannons were still being developed. The Chinese also invented the hand grenade about a thousand years ago along with grenade launchers—the bow powered grenade. A computer analysis demonstrated that China’s largest cannons could fire more than a third of a mile. It would take centuries before Europeans could match the weaponry of China. The Chinese invented rockets long before anyone in the West did. By the 15th century, the Chinese had mass rocket launchers that fired hundreds of rockets in battle. In one battle during the Ming Dynasty, more than one-hundred rocket launchers were used capable of launching 32,000 rockets in an instant. The Chinese also invented one of the most dangerous weapons on earth—the landmine. The first landmines were invented in 13th century China. The triggering mechanism for these weapons was kept a secret until the 16th century. Then this concept was used to create the first musket. During world war I, armies used colored flares to send messages. The Chinese invented this signal method in the 13th century. The most important contribution to warfare took place during in the 6th century BC — The Art of War by Sun Tzu. Today, American generals study this Chinese book for fighting wars. Some might ask, if the Chinese were so advanced in waging war, why not conquer the world? The answer—they had no desire because they were satisfied with what they had in China. Ironically, the Mongols (Yuan Dynasty 1277 – 1367) conquered China using the weapons that the Chinese had invented. 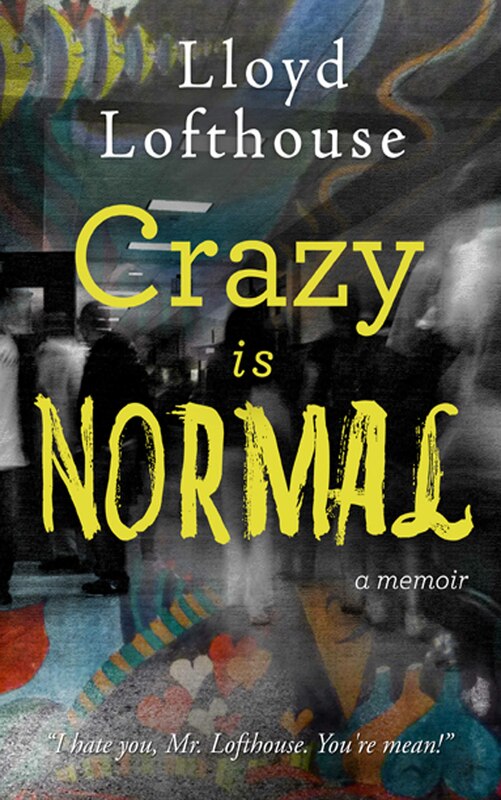 His third book is Crazy is Normal, a classroom exposé, a memoir. “Lofthouse presents us with grungy classrooms, kids who don’t want to be in school, and the consequences of growing up in a hardscrabble world. While some parents support his efforts, many sabotage them—and isolated administrators make the work of Lofthouse and his peers even more difficult.” – Bruce Reeves. This entry was posted on Tuesday, August 30th, 2011 at 11:00 and is filed under China, Chinese Culture, Chinese history, cultural differences, history, military, science. You can follow any responses to this entry through the RSS 2.0 feed. You can leave a response, or trackback from your own site. What is going on today however is that Chinese businesses, with the approving government turning a blind eye, copy inventions in violation of agreed-upon copyright laws. Those laws are there to make sure businesses who spend their time and money on developing products for years will be able to benefit from those products, and without these copyright laws innovation would take a severe blow. And even if some Westerners in the past had “stolen” knowledge from China, how does that make it “ironic” that businesses complain about blatant violation of copyright law today? They are not allowed to do that because some other people centuries ago “stole” some knowledge from China? Is guilt inherited within a people or race, and is privileged victim status inherited within a people or race? So that individuals living today have no right to complain about crimes committed by Chinese businesses today, because some other people who belong to the same people as they did something centuries ago? Well then, let’s apply that rule about magically inherited guilt within a people to all peoples on earth. Starting with slavery in China, where even Buddhist monks owned slaves. Who should go to jail for that today? Point out a time in history when rules and laws were not broken by both sides—eventually. Economic and industrial espionage has a long history. The work of Father Francois Xavier d’Entrecolles in Jingdezhen, China to reveal to Europe the manufacturing methods of Chinese porcelain in 1712 is sometimes considered an early case of industrial espionage. In 1993, car manufacturer Opel, the German division of General Motors, accused Volkswagen of industrial espionage after Opel’s chief of production, Jose Ignacio Lopez, and seven other executives moved to Volkswagen. Volkswagen subsequently threatened to sue for defamation, resulting in a four-year legal battle. The case, which was finally settled in 1997, resulted in one of the largest settlements in the history of industrial espionage, with Volkswagen agreeing to pay General Motors $100 million and to buy at least $1 billion of car parts from the company over 7 years, although it did not explicitly apologize for Lopez’s behavior. Revelations from the Snowden documents have provided information to the effect that the United States, notably vis-à-vis the NSA, has been conducting aggressive economic espionage against Brazil. Canadian intelligence has apparently supported U.S. economic espionage efforts. Here’s a dirty little secret you won’t see in the daily papers: Corporations conduct espionage against U.S. nonprofit organizations without fear of being brought to justice. Yes, that means using a great array of spycraft and snoopery, including planned electronic surveillance, wiretapping, information warfare, infiltration, dumpster diving and so much more. Conclusion: And we are supposed to condemn China when they do the same thing that we do to each other? Regardless of the laws, stealing ideas and inventions seems to be the name of the game and no law is every going to change that.